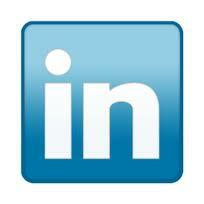 LinkedIn is the world’s largest professional network with over 120 million members and growing rapidly. LinkedIn connects you to your trusted contacts and helps you exchange knowledge, ideas, and opportunities with a broader network of professionals. Learn more. Linkedin can be a very useful tool for finding jobs and connecting with employers. More and more people today use this professional network to increase their exposure and presence in the professional world. You can create your profile on LinkedIn, and you will automatically post your work history.